Amato Sanita is a criminal defense attorney who practices in state and federal courts in Buck’s County and Philadelphia, PA.
Maine officials recently testified before the U.S. House Oversight and Government Reform Committee to address concerns over fraudulent use of food stamp benefits. Department of Health and Human Services Commissioner Mary Mayhew and others have been petitioning the federal government and the U.S. Department of Agriculture to allow the state to pursue photo identification on all benefit cards in Maine. Food stamps, known so because they were at one time issued as stamp books, have evolved to a more modern shopping device. Presently known as SNAP — Supplemental Nutrition Assistance Program — benefits, food stamp allowances are loaded on electronic benefit transfer (EBT) cards similar to debit and credit cards. Easily manipulated and traded like any cash commodity, food stamps have long been subject to fraudulent misuse. Difficult to prevent and trace, food stamp fraud has been given careful consideration by both the USDA and state agencies that administer the program. According to latest statistics, fraud is down from a 1990’s rate of four-cents on the dollar to just one penny per dollar loss. To lower the fraud rate even more, some agencies, like Maine’s, are attempting to convert all EBT cards to a mandatory photo ID card. In theory, it is a simple solution to combat food stamp trafficking. Maine officials have issued 60,000 photo cards voluntarily and would like to increase the number to include all of the state’s 101,000 SNAP recipients. Not so fast, say USDA officials responsible for regulating the food stamp program. SNAP is a federally funded program administered by state agencies, but who sets the rules can be a legal conundrum. An issue as commonplace as a photo ID card quickly becomes mired in questions of federal and state law with constitutional ramifications. In the District of Columbia, where SNAP beneficiaries number over 130,000 or twenty percent of the population — one of the highest ratios in the nation — food stamp fraud is just as much an issue. The District has no photo requirement for its EBT cards. However, like Maine recipients, SNAP users in Washington, D.C. can spend their monthly benefit in any state and at any retailer that accepts EBT. Because of the District’s size and proximity to other states, it is likely that a recipient in the nation’s capital might use their EBT card in Maryland or Virginia. Hence one significant issue with photo EBT cards. Pursuant to federal regulations and the USDA’s own rules, inclusion of a photo on the EBT is entirely legal. The Food and Nutrition Act of 2008 allows that a state agency may require photos — it is in the implementation that conflict arises. Lacking uniformity among all states poses a challenge to SNAP users. If D.C. SNAP recipients have no photo EBT card and travel to Maine, would their cards be valid as required by program regulations? An EBT card from one state must be honored in another state. Another challenge that the many agencies need overcome is a separate federal provision that requires that no retail grocer “may single out [EBT card] users for special treatment in any way.” Taken in a strictly legal context, this means that a retailer who must see a photo ID for an EBT card user must also ask any debit or credit card user for the same identification. Additionally, Article I, Section 8 of the U.S. Constitution grants the U.S. Congress the exclusive power to regulate commerce among the states. At first blush it would appear that the regulation of food stamp spending and usage — as a form of interstate commerce — is vested solely with federal regulations and the USDA. One state cannot refuse to honor EBT cards issued by another state simply because a recipient has crossed a state line; or, if a card has a photo or not. The creation of a simple photo ID card becomes a complex and twisted struggle between the federal agency that funds SNAP and the many state agencies that administer the benefits. In Washington, D.C., at least two agencies — the city’s Economic Security Administration and the Department of Human Services — are involved in the application, issuing, and regulation of SNAP benefits. They do so only under the provisions established by the USDA. While food stamp fraud is a financial crime, is can easily lead to drug and property crimes. Preventing fraud is a necessary multi-agency consideration. Like any problem that affects society as a whole, the solution is neither a federal nor a state question singly. Maine’s attempt to issue statewide photo ID cards for SNAP recipients may someday end up before the U.S. Supreme Court. Until then, as long as the needy are not punished or discriminated against for using an EBT card properly, the USDA and states must work cooperatively to reduce fraud using the best practices available. Beer fanatics soon can learn the science behind crafting an exceptional, hoppy beer in Petworth. The D.C. Department of Parks and Recreation this Wednesday is scheduled to have a workshop that will cover growing and harvesting hops in the D.C. area, as well as properly storing them for later brewing. 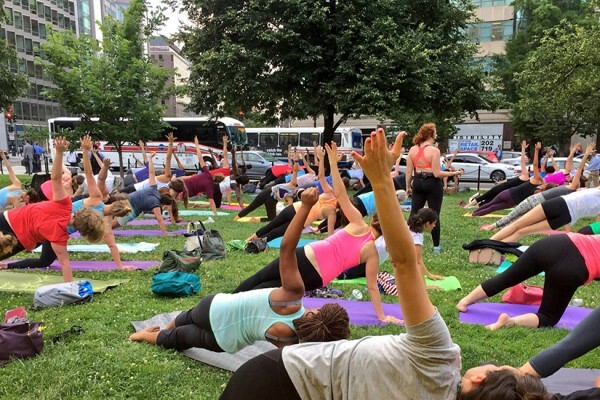 The class is set to take place in the Raymond Recreation Center and Computer Lab (3725 10th St. NW) from 6:30-8:30 pm. 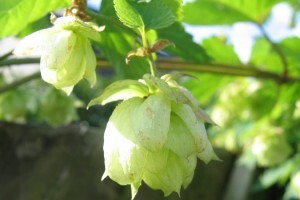 Dana McCoskey, a local biologist and home brewer, is slated to provide participants with basic information on brewing and help them explore the effects of different hops on beer. The workshop also is expected to include a discussion of beer recipes. The class is free for D.C. residents. 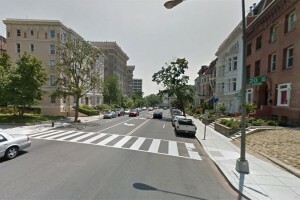 A man hit another man with a gun and knocked him unconscious in a domestic dispute near Columbia Heights early yesterday morning, police said. The aggravated assault happened on the 700 block of Gresham Place NW about 3:15 a.m. Wednesday. The area is just west of Howard University. The attacker and the victim were in a home on the block when the assailant pistol-whipped the man, according to authorities. The man with the gun hit the victim after he intervened in a dispute between the attacker and a third man, who also was there. 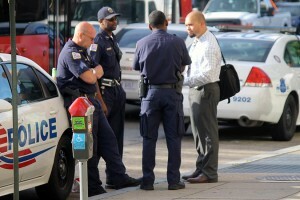 The assailant had threatened to kill that person. Police arrested someone in connection with the crime. But the person’s identity wasn’t immediately clear. Locals likely are only days away from having the chance to grab a bottle of Clean Me Up, Cheer Me Up or other cold-pressed juices in Adams Morgan. Jrink Juicery, a D.C.-based juice bar chain, is slated to open at 1800 Wyoming Ave. NW Wednesday, the company announced on Twitter yesterday. The space previously held the Sweet Science Coffee shop, which closed in March. The cold-pressed juice company asked customers last month whether Adams Morgan should become the home of its sixth store. Jrink currently has locations in Dupont Circle and Shaw, among other places in the D.C. area. Support for an Adams Morgan outpost was strong on social media. “Best week ever! Joining mint & now you guys coming! Adams Morgan is ” one person said on Instagram. “Can’t wait to check it out!!!! !” someone else added. In an Instagram post last month, Jrink said its fans can expect juices, outdoor seating and “other fun stuff” in Adams Morgan. 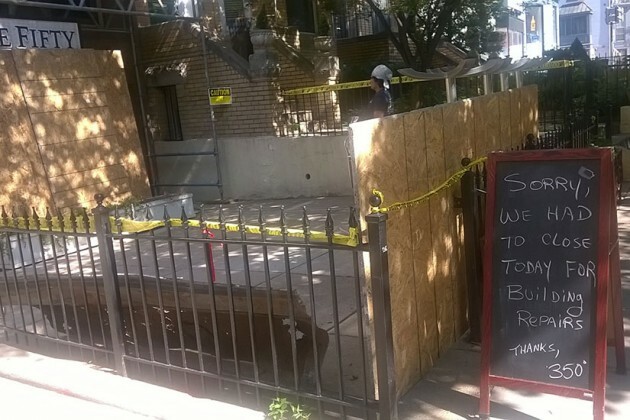 (Updated at 4:25 p.m.) Roof repairs have ruined the business of a coffee shop near the U Street corridor for today, and possibly for a couple more days. 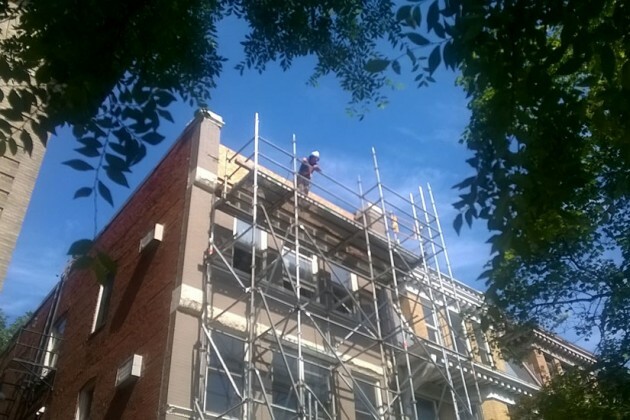 Three Fifty Bakery & Coffee Bar (1926 17th St. NW) didn’t open this morning as a construction crew worked to fix the roof of the shop’s building, which was damaged during the winter, owner Jimmy Hopper told Borderstan. The store itself isn’t receiving any repairs. But Hopper said he is worried about his customers’ safety while the construction crew works from scaffolding erected in front of his shop’s entrance. He hoped to reopen Three Fifty tomorrow, if the roof is fixed by then. 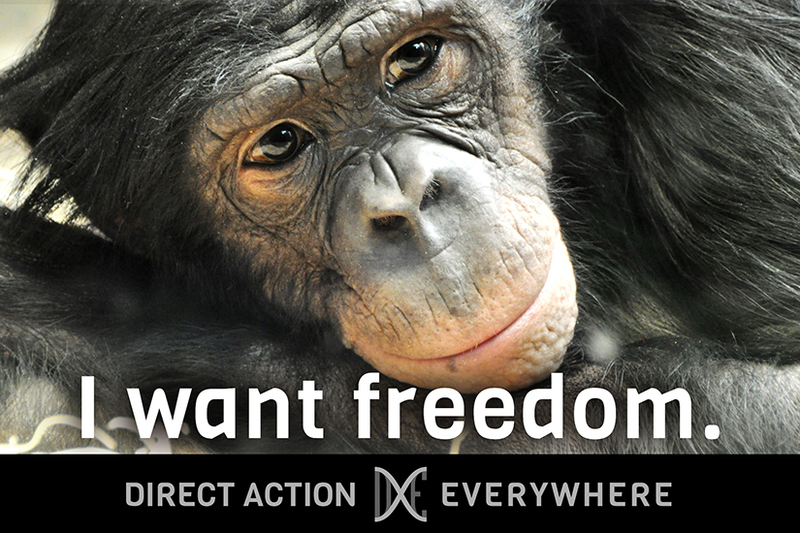 Nearly a dozen people say they plan to gather outside the National Zoo this weekend to speak out against animal captivity. Members of the animal rights organization Direct Action Everywhere will peacefully voice their opinions on caged animals in the zoo this Sunday at 1 p.m.
After the demonstration, the group plans to head to National Harbor to protest animals in circuses. “It’s right before Independence Day, which is really perfect because we’re celebrating independence [by protesting],” Glick added. 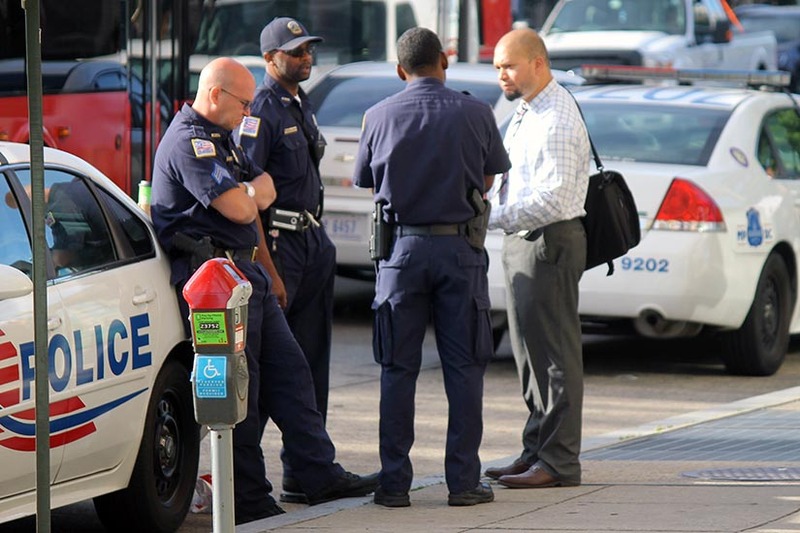 Police have arrested a 17-year-old in connection with a deadly shooting that occurred in Columbia Heights two weeks ago. The teenager, who was not named by police, was arrested yesterday and charged with murder two while armed, according to authorities. 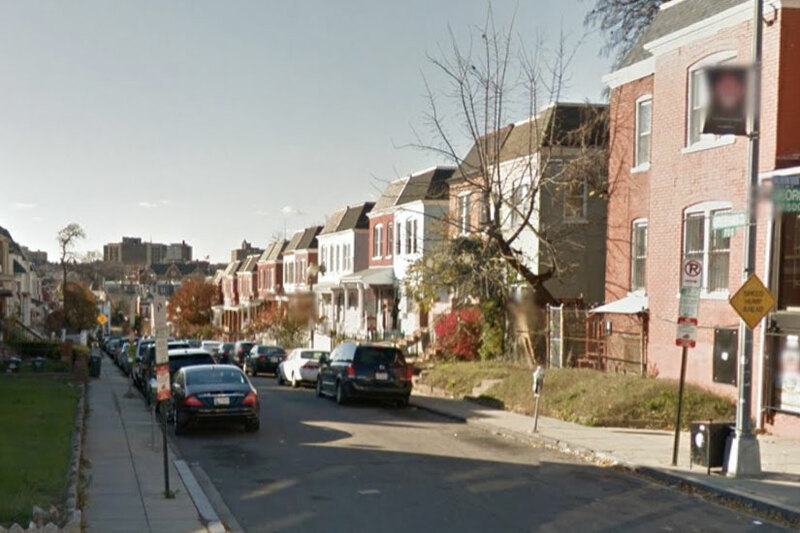 Police found 2o-year-old Devonte Crawford of Northwest D.C. with a gunshot wound on the 2900 block of 14th Street NW about two weeks ago. He was pronounced dead at the scene. The opportunity play a Japanese game and make samurai hats, cranes and other items out of paper is slated to come to Farragut Square this Friday, according to a Facebook event post. 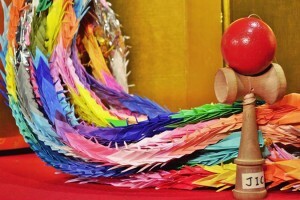 As part of the “Farragut Fridays” event series, the Japanese Embassy plans to have a booth where passersby can try Japanese paper folding, known as origami, and test their eye and hand coordination with kendama, which is similar to the cup-and-ball game. The crafts and games are scheduled to run from noon to 2 p.m. 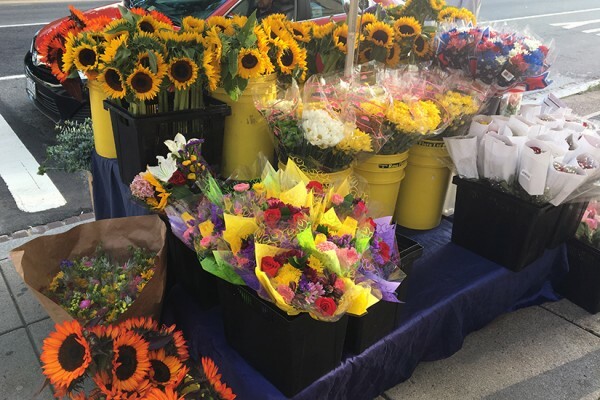 Hosted by the Golden Triangle BID, Farragut Fridays has outdoor activities — such as movie screenings, puppy adoptions and music performances — every Friday from May to September. A Japanese restaurant in Dupont Circle is looking to reopen with a new look and a new menu next month, according to one of its owners. 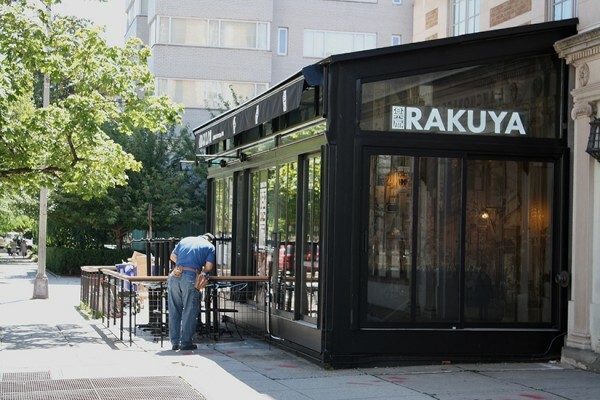 Rakuya — formerly known as the sushi joint, Raku — could open its doors at 1900 Q St. NW as early as mid to late July, said partner Marcel The. Signs for the new eatery went up about three weeks ago. When the restaurant reopens, diners can expect a menu that includes “sushi, skewers, some Japanese small dishes, braised meats and ramen,” The said. Rakuya will also serve sake and shochu, he added. Though Raku announced it planned to temporarily shutter the Q Street sushi joint last year, The and the restaurant’s other co-owners planned to rebrand the restaurant for a while. 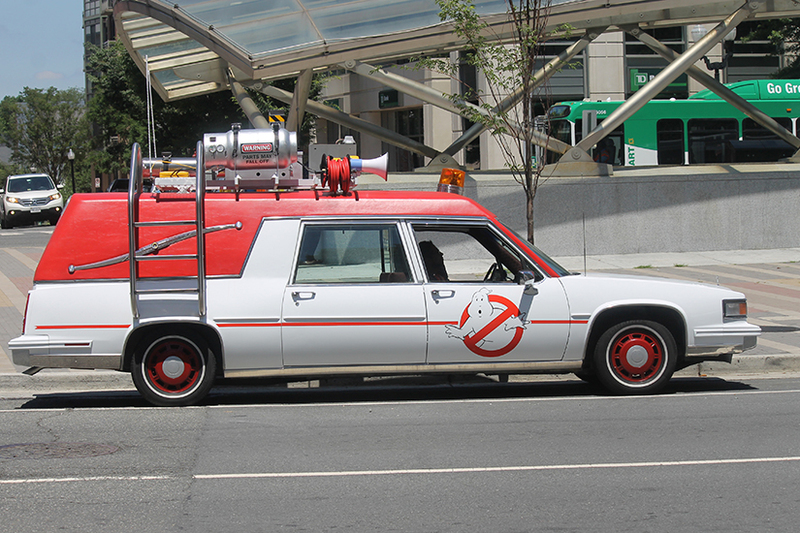 A new feature from ride-hailing service Lyft will give locals the chance to hitch a ride in the ghostbusters’ car later this week. The feature, dubbed “ghost mode,” is the product of a partnership between Lyft and the new “Ghostbusters” film. By using “ghost mode,” riders will be able to hail an original Ecto-1 or a replica across the D.C. area Friday and Saturday between 10 a.m. and 8 p.m.
Republic Kolache is bringing its savory and sweet pastries to more locations around the D.C. area after two of its outposts shut down last month. The bakery is set to open pop-up shops at Texas barbecue eatery Hill Country (410 7th St. NW) and Right Proper’s Brookland brewery (920 Girard St. NE) this week, according to a press release from Republic Kolache. The new Whole Foods at Pentagon City in Arlington also is stocking kolaches now. 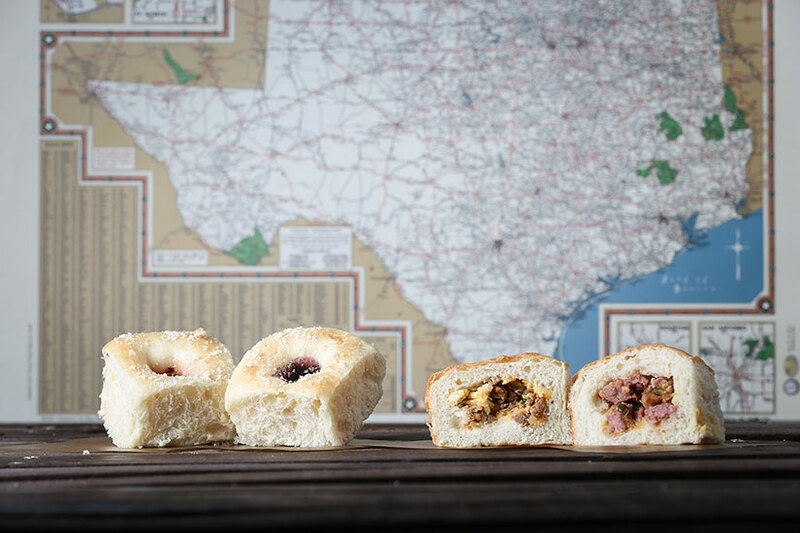 At Hill Country, Republic Kolache plans to serve coffee, fresh juice and, of course, kolaches out of restaurant’s front bar from 8-11 a.m. Fridays, Saturdays and Sundays. 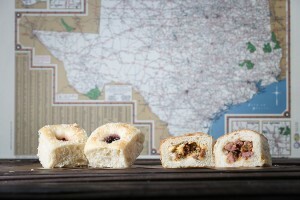 Kolache flavors are slated to include brisket and jalapeño sausage and cheese. The first 25 customers can get a brisket kolache for free, if they say the “secret brisket password,” the news release says. 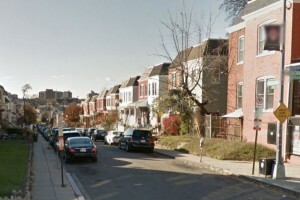 A thief knocked a man into a fence and robbed him in Adams Morgan yesterday afternoon, police said. 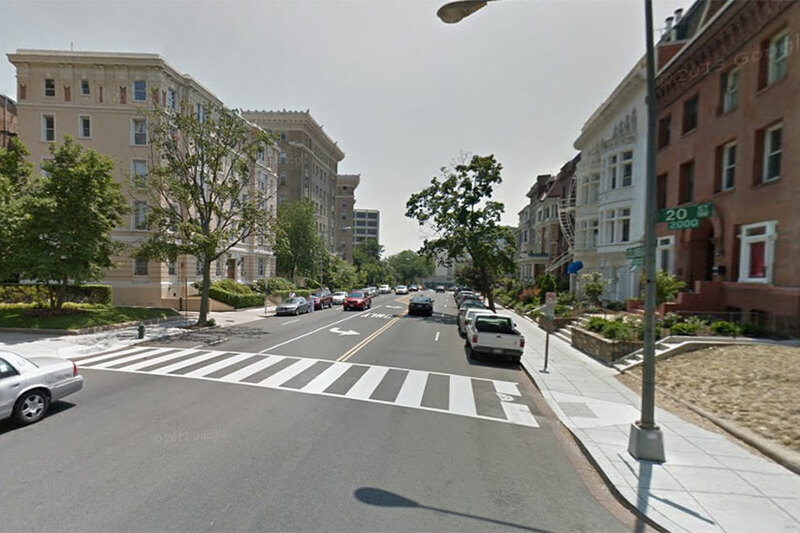 The violent robbery happened just north of the Washington Hilton on the 2000 block of Columbia Road NW about 4:30 p.m. Tuesday. The victim was trying to open an apartment building door in the area when a man came up to him from behind, according to authorities. The new arrival then pushed the victim into a fence. The attacker soon after took $100, credit cards and other items from the victim and fled. Police haven’t released a detailed description of the suspect. Some cyclists in Columbia Heights and Bloomingdale will have to rent Bikeshare bikes from new locations, at least temporarily. The hubs at Florida Ave. and R St. NW and 14th and Harvard streets NW have been relocated nearby so workers can install permeable pavement, according to Capital Bikeshare. 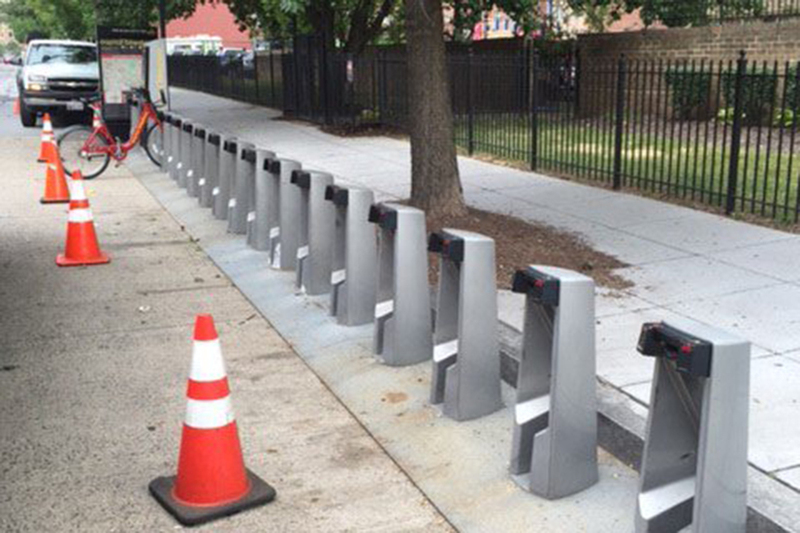 Over the next two months, several Capital Bikeshare stations throughout the district will be temporarily relocated or removed, according to a Bikeshare press release. The stations are set to be relocated “within sight of normal location,” the release reads. Each adjustment is expected to last up to one week. Columbia Room Launches ‘Latin American Cocktail Menu’ — The bar at 124 Blagden Alley NW yesterday launched a new menu that includes drinks made with singani, pisco, rum, chicha and Chilean wine, according to a press release. Policy Picks Up New Chef — Policy (1904 14th St. NW) has a new executive chef. Lonnie Zoeller will lead the eatery’s kitchen with a “new menu with strong Latin-American influences, refining the restaurant’s locally sourced daily offerings,” the restaurant said in a statement.